Serbia’s state-owned utility Elektroprivreda Srbije is planning a new 350 MW lignite plant at Kostolac in the country’s north-east. In spite of high level support and Chinese financing, the project is plagued by concerns over pollution, state aid and legal challenges. Serbia relies on lignite for around 70 percent of its electricity production, which poses challenges in switching to a low-carbon economy in line with EU policy. It also poses problems in terms of climate change resilience, as the floods in 2014 showed. Nevertheless the Serbian government and state-owned utility Elektroprivreda Srbije (EPS) plan to build more coal plants. Top of the list is Kostolac B3 near Pozarevac. The construction of the 350 MW lignite power plant is the second phase of a project implemented by the China Machinery Engineering Corporation (CMEC) and financed by the China EximBank. The first phase, for which a USD 293 million financing contract was signed between the Government of the Republic of Serbia and Chinese Exim Bank on 29 December 2011, consisted of modernisation of the existing units Kostolac B1 and B2, construction of a desulphurisation system, a landing dock on the Danube and railway infrastructure. In November 2013, the Serbian government signed an agreement with CMEC for the construction of the new unit, B3. No tender procedure took place. Instead, the Chinese and Serbian governments signed an intergovernmental agreement freeing joint projects from tender obligations – a move which would not be allowed under EU law. 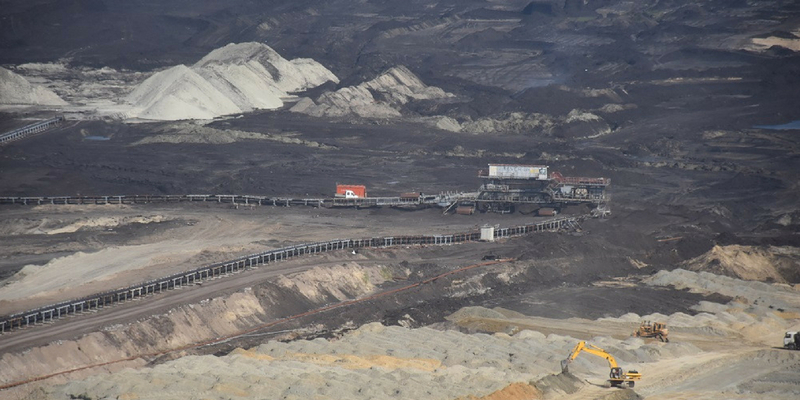 A second, USD 608 million loan was signed between the Serbian government and the China EximBank in December 2014 for the new unit and expansion of the Drmno open cast lignite mine, whose annual production would increase from 9 to 12 million tonnes. On 19 January 2015, the Serbian parliament voted on the loan ratification in an extraordinary session announced to the public less than 24 hours in advance. It includes several problematic elements, including stipulating that any arbitration would be carried out in Beijing. More than three years later, the project continues to accumulate legal problems and other issues, but EPS seems determined to go ahead. The Drmno mine currently produces around 9 million tonnes of lignite per year and needs to expand to 12 million in order to feed the new plant. However in 2013 the government decided that no environmental impact assessment would be necessary for the mine expansion. This is almost certainly in contravention of the EU environmental impact assessment directive and Serbian law. The first environmental impact assessment for Kostolac B3 was approved in December 2013. It lacked any analysis of transboundary impacts, even though the site is just 15 km from the Romanian border, and suffered from numerous other deficiencies. It was therefore challenged in court by the Serbian Center for Ecology and Sustainable Development (CEKOR) and at the Espoo Convention by Bankwatch Romania. At its 33rd meeting held in March 2015, the Espoo Convention Implementation Committee noted that the construction of a unit at the Kostolac lignite power plant was an activity listed in Appendix I to the Convention and that the likelihood of a significant adverse transboundary impact could not be excluded. Therefore, the Committee asked Serbia to comply with its obligations under the Convention and to notify Romania about the environmental impact assessment. This was the first time that the Committee has opened an initiative related to cross-border impacts of a coal fired power plant, thus opening an interesting precedent for the numerous coal plants being planned across the Balkans which often cut corners in legislative implementation. In June 2016 the Serbian administrative court ruled that CEKOR’s arguments were valid and that the decision to approve the environmental assessment should be revoked. By this time, however, the original decision had already expired and the environmental assessment had to be started again. A new environmental impact assessment process was carried out in 2017, also with transboundary consultations, and approved in September. However it still suffered from a number of weaknesses such as failure to ensure that the planned plant complies with current EU pollution standards, the so-called LCP BREF, and failure to address the concerns of residents of the village of Drmno regarding their health and property damage from vibrations and ground subsidence. Therefore CEKOR has again challenged the decision in court. Just weeks later after the environmental assessment was approved, on 20 November 2017 – and a few days before the China-Central & Eastern Europe summit in Budapest – it was suddenly announced that construction of Kostolac B3 was starting. Surprised, CEKOR requested the building permit. However the only document disclosed so far is a permit for the B3 chimney only, not for the whole plant. And it is dated July 2017, before the environmental assessment was even completed. Serbia, as a signatory to the Energy Community Treaty, must follow EU legislation on state aid. This regulates the ways that state resources can be used to support undertakings, in order to avoid distorting competition and cross-border trade. The Serbian state actually signed both of the loans from China Eximbank instead of EPS. Thus the state takes on all the responsibilities connected with paying back the loan and gives EPS an advantage over potential competitors. During the tragic floods that hit the Balkans in 2014 the Kostolac B power plant narrowly avoided being flooded thanks to the tireless work of plant workers, firefighters and civilian volunteers. While their efforts were successful that time – unlike at Kolubara and Nikola Tesla, which were seriously affected by the floods – at the end of July 2014 in a separate flooding incident unit A2 at Kostolac was closed for several days and the Drmno mine was partially flooded. Such vulnerabilities have not been taken into account while planning the new unit. A mining pit Kolubara, another lignite mine in Serbia, under water following the floods. EPS’ lack of respect for Serbian and EU legislation are particularly frustrating given that it is a long-term recipient of EBRD financing, most recently through a corporate restructuring loan approved in 2015. In spite of its goals to promote green economy transition, the EBRD has so far not succeeded in persuading its client to act in line with Serbian and EU law, or in steering it towards a coal-free future. For this reason a complaint was submitted by CEKOR and Bankwatch in early May 2018 to the EBRD’s project complaint mechanism. Serbia’s notorious Drmno mine is rapidly expanding on Chinese loans, pushing the country towards high-carbon lock-in and a long-term debt.